After you’ve done a bit of what the Germans call vortrinken (Am. Engl. : pregaming) in your apartment or at a kiosk you might like to try one of these cool bars to chill and talk before you head out and dance to deep house or outdated indie/synth rock or whatever in God’s name they’re playing on the Hamburger Berg. The worst thing about going out in Germany is that they still allow smoking in their bars, somehow as the world moves on and bans this: Germany still has Marlboro billboards. The people seem to be happy to forego their health in the name of corporate interests for the sake of being “tolerant” …But if you smoke then, I guess you’ll like it? This is a great place to go for an earlier beer or wine or aged scotch. It’s on the Schulterblatt but it’s away from the ridiculous Schulterblatt crowd. 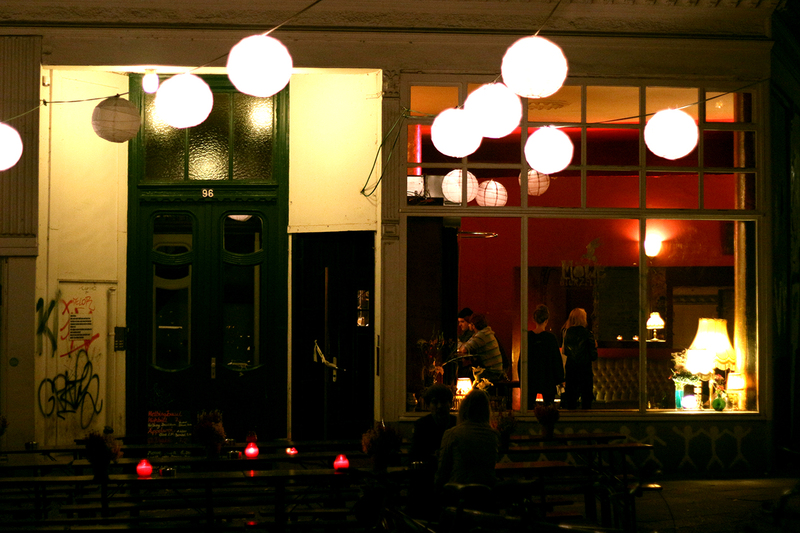 A tasteful little bar where you can often hear tasteful music above the din. No smoking inside. 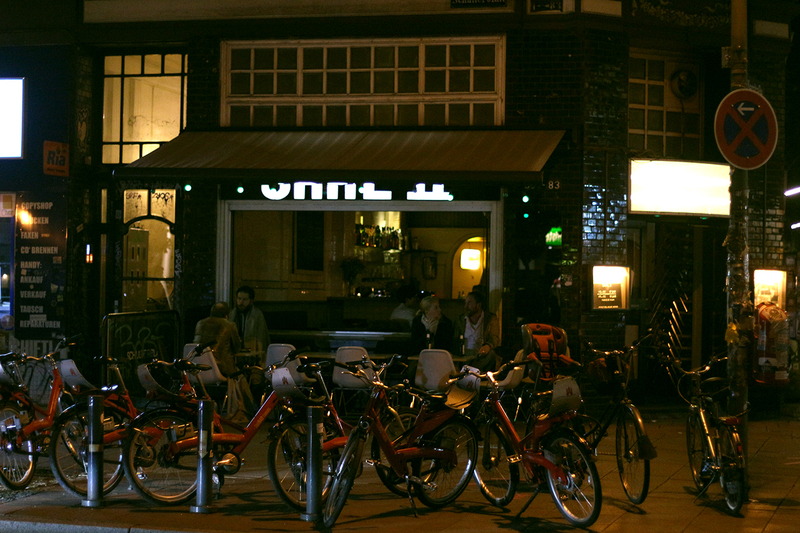 The Möwe is a nice bar with a very cosy inside and a winning outdoor area lit with lovely lanterns. 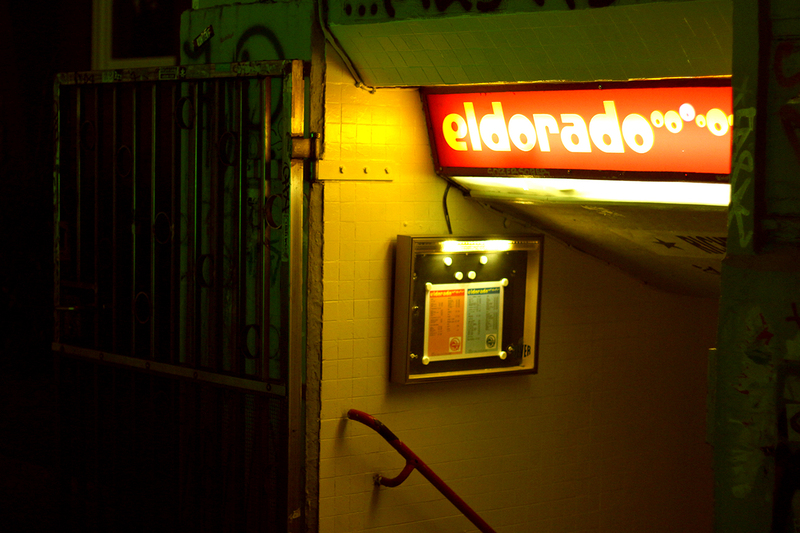 There’s not much to say about this place except that it’s good on a weeknight for a quiet drink, I don’t rate this bar when it’s crowded except to sit outside when it’s warm… but why not just do that with a kiosk beer on the Wohlwillstraße? Still a nice place though. This place is great. Just a few big dark rooms full of couches for people to talk on. It does feel kind of retro and disco somehow. Once I went there and the DJ was pretending he was running a college radio station in San Antonio or something. When I asked him about that he got me to pick up an old phone that he had put out in front of his decks and he ‘took my call’, turned out the phone was really a microphone and he took the call during the set. I like it, it was like theatrical, improvisational DJing. Can’t beat this place. There’s something different here every night, performances from live musicians or a DJ who actually has good taste in music (a rare find anywhere in the world really). The Hasenschaukel know how to put it on. The interior is freaky, dolls hang from the ceiling and it feels kind of like a weird hut in the middle of the forest. The beer is cheap and there’s a cavernous vibe. You can always get a coffee if you don’t feel like drinking and they have a seperate smoking room, which is not perfect but better than drinking in a smoke trap. I outlined the virtues of this place on the café page but it’s also great to go to at night for a beer, they have an admirable range of bottled beer. No smoking inside. 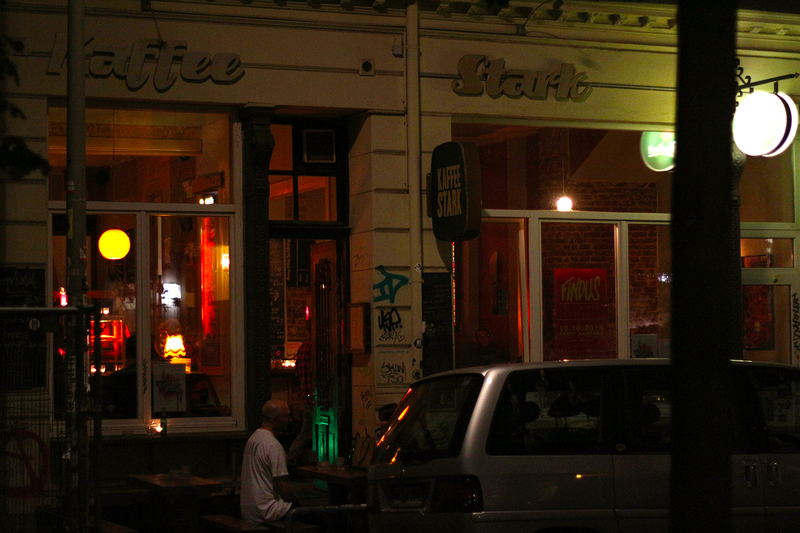 I’ve only been here once but I have to say that it’s my favourite bar in Hamburg. When I went there with my girlfriend I swear to god that Riff Raff and Magenta from Rocky Horror Picture Show were working there, and I truly mean that in a totally good way!! It was dark and spare. Jazz music was being played in the corner next to the wrought iron and glass bar. 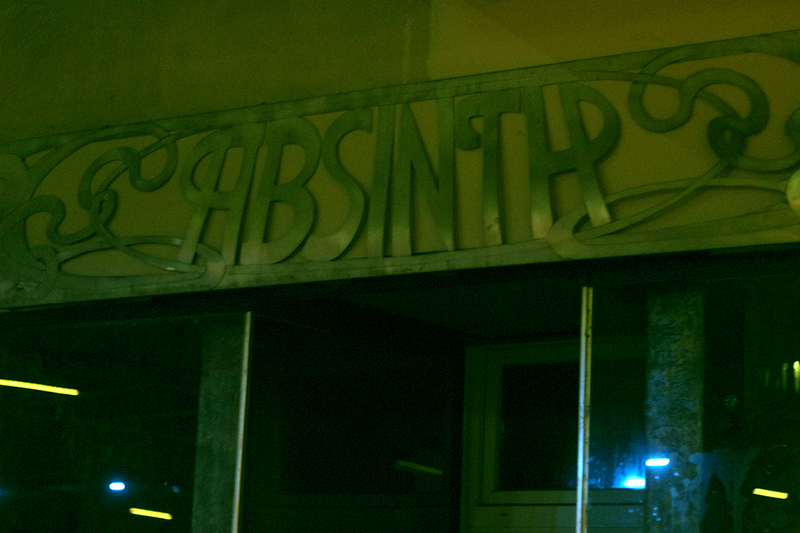 The list of available absinth was sorted by country and contained a bang on description of all 200+ varieties that they had. Orange notes with mint? You got it. Rosemary and an apple aftertaste? No problem. There’s no smoking and I love this place. This place is for the beautiful misfits. A lot of people that sit at this bar have never been to any other bar in their lives and spend their free time here. There’s always punk or tasteful old indie tracks (think Conor Oberst, Flipper or The Smiths) playing on their sound system that distorts all the music. The girl that works there might mix random spirits together for you and charge you a price that she made up. Loving your food and drinks advice! 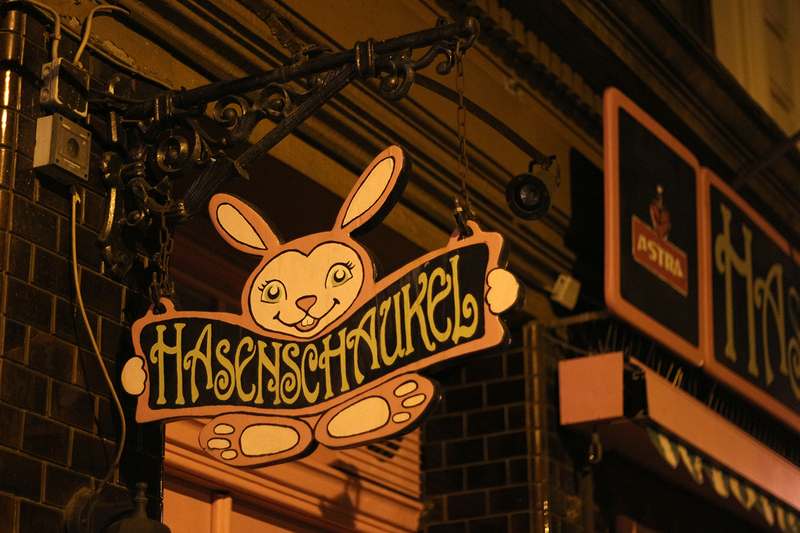 Coming to Hamburg for the first time this weekend and i can’t wait to try these places! Loving your food and drink advice! Coming to Hamburg for the first time this weekend and I can’t wait to try some of these places!